October is the annual breeding season, "the rut" for the largest denizens of New Hampshire's North Country: Moose. 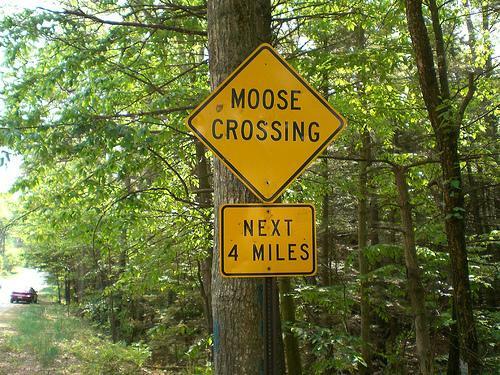 It's also the annual moose hunting season. Following the initial recovery of moose populations, an annual moose hunt has occurred since 1988. That first year, 75 permits were issued for a three-day hunt in the North Country only. Last year, 400 moose permit hunters took 290 moose. This year 275 coveted moose hunting permits were awarded by lottery from among more than 13,400 applicants for the nine-day season.